Direct Mail Marketing Campaigns Done Right! With our professional, eye-catching postcard designs and REIPro’s affordable, internal Direct Mail system, you’ll free up countless hours and be miles ahead of the competition. REIPro can also mail out your postcards for you...No more stuffing envelopes and wasting time licking stamps. 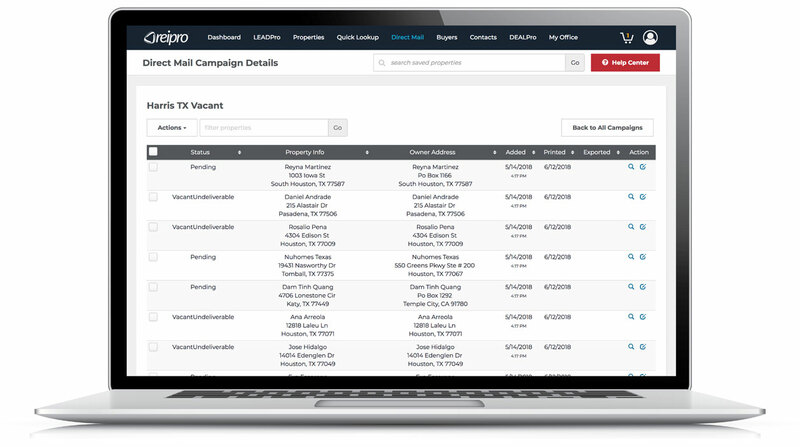 Reach more sellers and buyers in less time, for less money, with less effort. REIPro offers the kind of flexibility you need to grow your business the right way. 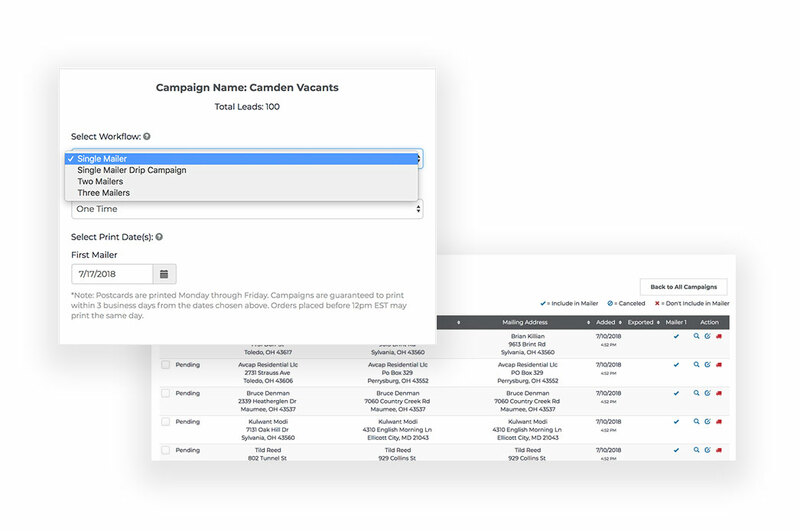 Build unlimited campaigns. 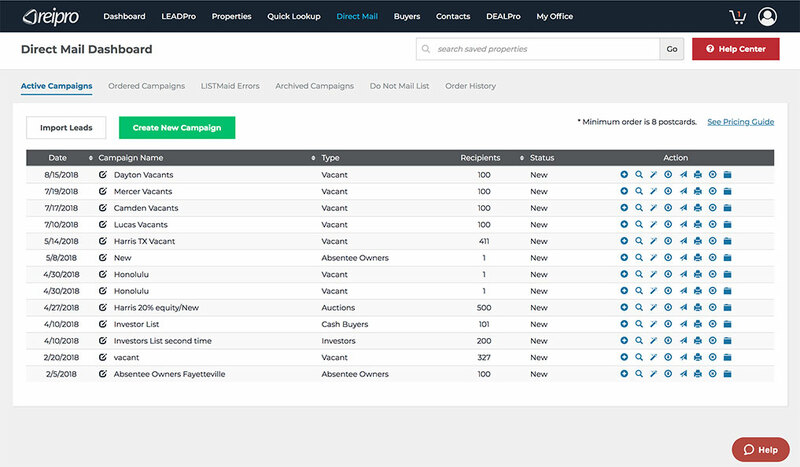 Add leads to any campaign, at any time. Export your campaign lists, print letters on-demand, order postcards with our in-house printing service, create multi-touch postcard campaigns, and archive a campaign for follow up, all in one place. Everything you need, all in one place to make your job easier and faster.